The only brush I used was the spider net, and that is from DA as well. I had some suggestions from a friend and I worked on the wallpaper using those suggestions. Please do comment, with your opinions, and enjoy! yay! 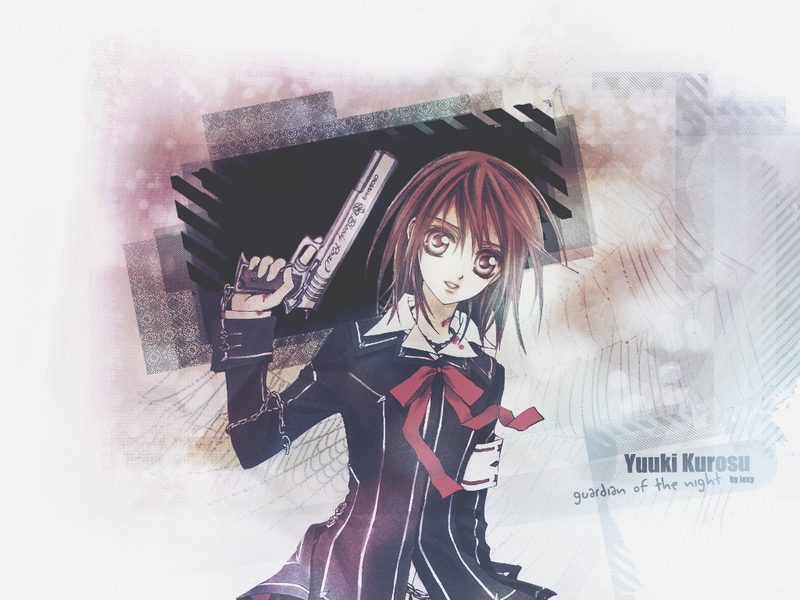 a vampire knight wallie! it looks totally awesome, love the texture and colours. Quite nice~ the effects are pretty! looks cool! :) thanks so much for sharing. Great work! I like the filters and brushes you used.